Petzl TIKKA RXP vs. NAO: Which One is Right for You? 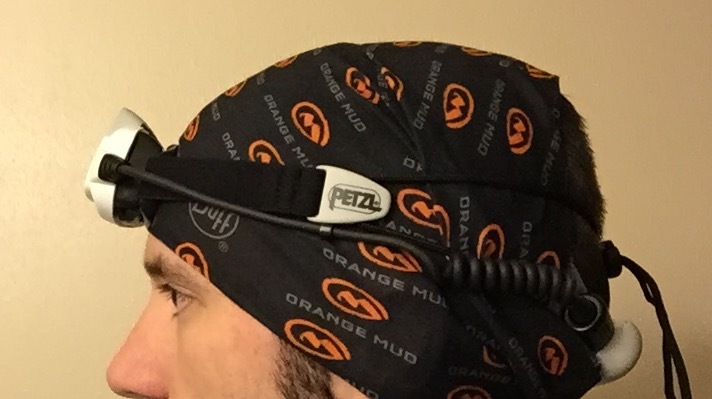 Petzl is one of, if not THE most popular headlamp brand with trail runners. I have read many reviews out there on both the TIKKA RXP and the NAO, but not one review that I have found can tell me which one would work best for me. Both of these lamps are ideal for trail running, but with a price difference of about $100, a prospective buyer will want to know which one will be most beneficial to their particular needs so that they are spending their money wisely. So I decided to do something a little different with this review. Instead, I want to help you decide which is best for you by providing a comparison review. This review isn’t to convince you to buy Petzl. This review is for those that have already made that decision and are now trying to figure out which one is right for them relative to cost. Sure, I will provide a basic feature overview, for level-setting purposes, but I want to focus most of my time on talking about how they compare so that you can make a more informed decision. DISCLAIMER: Nothing to note. I have NO affiliation with Petzl at the time of publishing this review. Before I briefly introduce each lamp, I want to talk about why I chose to compare the TIKKA RXP and the NAO. As they are both Petzl lamps, I can eliminate inconsistencies pertaining to brand differences. Also, as I said earlier, this review is for those that have already decided to go with Petzl. Reactive Lighting is a technology used by the lamp to automatically adjust the light output based on the surrounding light conditions. This helps to maximize battery life by allowing the lamp to provide you with only the amount of light you need. OS by Petzl allows you to create custom light profiles on the lamp. This allows the individual to determine the light output in the various modes catering to your unique preferences while also fine tuning the battery life. Both are also offer rechargable/swappable batteries. Both cater to the same target audience, trail runners. There is a distinct price difference between the two, making the comparison relevant in helping you to determine which is most appropriate for you. Most of the TIKKA form factor is contained on the front of the head, with the battery and light all contained together in a single unit. It has a single strap, which fits around the side of the head and splits on the back of the head to help create a more secure fit. The NAO separates the light unit from the battery pack, with the battery sitting on the back of the head. Additionally, it also incorporates another two straps that go over the top of the head on each side. The NAO provides a better fit for multi-sport use, especially when wearing a helmet, but I found it to be a bit too much while running. With the battery pack in the back, the four head straps, and the power cable running between the lamp and battery, I felt that there was just too much going on. As a side note, if you happen to run with an Orange Mud hydration pack like I do, the battery pack kept hitting my water bottle. The TIKKA RXP, although it may look bulky from the front, it is actually not too large or obtrusive. I found it to be quite comfortable, especially since the strap runs behind the lamp which provides some cushioning on your forehead. If you prefer a more minimalist feel, the TIKKA is definitely the way to go. If you are a multi-sport athlete and don’t want multiple headlamps, the NAO may be a better option. OS by Petzl allows you to create custom lighting profiles which drastically impact the battery life. In testing, I decided to stick with the standard lighting profiles in order to maintain consistency and keep it simple. I found the battery life to be pretty consistent with what is published on the Petzl website within 20-30 minutes. The NAO performed better here in similar modes, offering over an hour of extra time versus the TIKKA. For the level of light output that I personally prefer, I could almost certainly create a custom light profile that would get through most summer nights on a single charge with the NAO. By comparison, the TIKKA would require a backup lamp or battery for similar overnighters. If changing batteries is a big issue for you, then the NAO would definitely be better for overnighters. The TIKKA, on the other hand, may be better suited for briefer periods of darkness, such as runs that take place during daylight hours where you are only starting or finishing with a bit of darkness. I feel like the lighting is the most defining difference between the two. At 215 lumen max, the TIKKA provides what I believe to be sufficient lighting for most typical trail running purposes. The light output provides ample brightness and distance, with the light coverage being mostly centered in front of the runner. The NAO, by comparison, could probably be used to guide planes in for a night landing. For me, the one area where I find this most useful is when the trail/path that I am on is not so clearly defined and you need more light to get a complete view of your surroundings. You can see from the photo that not only does the light project out to a further distance, but it is also has significantly better side-to-side coverage. One thing I did notice is that the reactive light sensor seems to be A LOT more sensitive in the NAO. The light would flicker constantly in fog or from my breath on a really cold night. The TIKKA wasn’t nearly as sensitive, which I preferred. As far as use, the TIKKA RXP is pretty sufficient on well-established trails. I feel like the NAO may be a bit overkill in most cases unless you happen to get lost or do a bit of bushwhacking, in which case the added light would be helpful. With the multi-point head harness, I was expecting the NAO to be the more securely fitting of the two, but it ended up being quite the opposite. With the NAO, I couldn’t ever get it truly dialed in to fit like I was hoping it would. It either felt too tight or was too loose. The TIKKA RXP was much simpler to dial in, which I attribute to its split strap and lighter weight. If you look to other sports, the NAO would definitely provide a better fit, especially when wearing a helmet where the TIKKA would not work at all, but since my sole sport is trail running, I tested it only in that scenario. In testing both lamps, I can definitely understand the cost justification between the two, but like almost anything, it will depend on your individual needs. For me, as a pure trail runner (and a pretty conservative one at that), I ended up liking the TIKKA a bit better. I usually stick to marked, familiar trails at night and don’t run through an entire night all that often, so occasionally having to swap out a battery is not a big deal for me. As such, my preference leans slightly toward the lighter, minimal fitting TIKKA RXP. However, for those that are more adventurous than I am, the NAO offers some great upgrades in terms of light output, battery life, and flexible fit for multi-sport athletes. If there are any instances where a lot of light output would be important to you, the NAO would probably be worth the extra money on that merit alone. 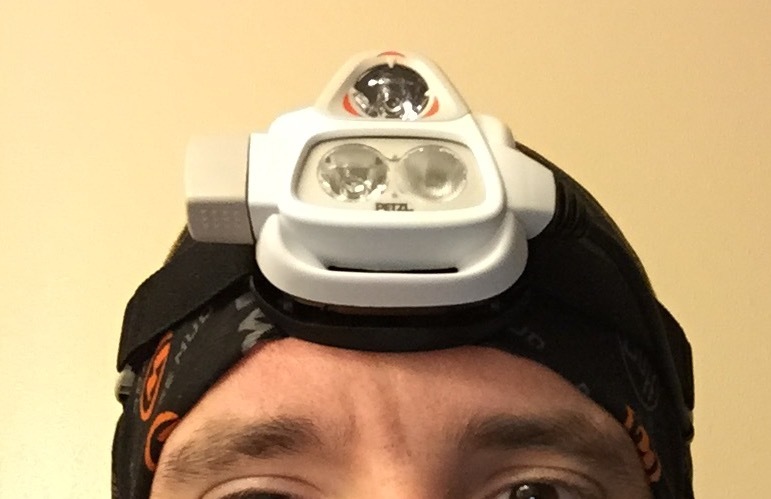 In the end, I was happy with both products and, if you have already decided to go with a Petzl headlamp (which you probably have if you are reading this), you won’t be disappointed either way. This entry was posted in Gear Reviews and tagged Accessories, gear review, Headlamp, Petzl, trail running, ultrarunning by Ultrarunner Joe. Bookmark the permalink. Thanks for the thorough write-up. These sorts of head-to-head-comparisons are really useful when it comes to choosing a light. I work for Petzl, am also a pretty active runner, and have a lot of experience with both lights. I wanted to point out that the NAO comes with an optional top strap (it looks like a black ribbon with a plastic slider on it). I feel with this attached, you can find that “sweet spot” in regards to fit that was eluding you. Try it out; I prefer the fit of the NAO to the TIKKA RXP with this top strap attached. When you are running all night in a race situation, the better light output of the NAO in terms of both distance and peripheral vision, gives one a significant edge. For example, markers can be seen farther out and you get a much better feel of the overall upcoming terrain. When you’re getting really tired, most people feel the added brightness gives also you a little extra mental acuity. Even the additional bulk of the NAO creates an advantage. I wear glasses and find the fact that the bezel is positioned farther out in front of your eyes eliminates any glare caused from dust on your lenses. For non-racing situations, I think the TIKKA RPX offers more than adequate light for tackling any terrain. John, thanks for the comment and added content. I agree that the sensor on Nao is lot more sensitive than Tikka. But this leads to the question – is the battery life on Tikka compromised by this? Afterall, in constant light setting the battery life is about half that of reactive – and I believe this takes into account that at reactive the light isn’t on full power most of the time. Thanks for your near complete comparision. Just one question: does tikka rxp change the light (beam and flood) automatically as soon as your head turn from near to far like nao? assuming that i am understanding the question correctly, the answer would be yes.